AA & Al-Anon Meetings – Rangely Alcoholics Anonymous – Open meetings Tues & Thurs, 7 p.m., 115 Kennedy Dr., St. Timothy’s Episcopal Church, Rangely. Al-Anon meets Monday, 8:15 p.m., 207 S. Sunset, 1st Baptist Church, Rangely. Al-Anon info. call 970-629-5064 or 970-629-2970. MOPS (Mothers of Preschoolers) meeting, open to anyone with a child 0-5 years, Grace Baptist Church, Rangely, first Thursday of every month, 9 a.m. to 11 a.m. Info. (970)675-8807. P90X, Insanity, TurboJam – the results are real. Buy programs and products and get personal help getting fit from your LOCAL Independent Beachbody Coaches: Pat, www.fit444.com or call 970-948-7617. MEEKER LIONS CLUB BINGO – 1st & 3rd Wednesdays, Dinner 6 p.m. – BINGO 6:30 p.m., RBC Fairgrounds Exhibit Hall, Progressive Bingo, Concessions & Dinner Available. Meeker Streaker available for transportation to Bingo, call 942-7125. Veterans Service Offices Rio Blanco County: Veterans Service Officer – Joe Dungan, Wednesday, 1 p.m. to 3 p.m., County Administration Building, 200 Main Street Suite 300, Meeker. 878-9690 office, 878-3219 home. Fax 878-9581. Rangely: Veterans Service Officer – Norman Hall, Sr., Tuesday and Thursday, 1 p.m. to 3 p.m., County Annex, 17497 State Hwy 64, Rangely. 878-9695 office, 629-9767 home. MENTAL ILLNESS SUPPORT GROUP – Support group for family members and friends of adult mental health clients and persons dealing with mental illness meets at 7 p.m. the last Tuesday of every month at 130 Pinyon Circle in Rangely. Info., contact Linda (970)629-9470. 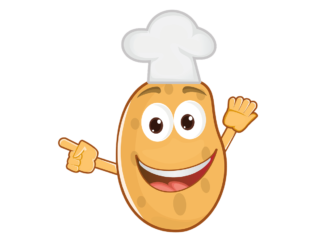 RADINO & CHUCKWAGON – Please call before 9:00 a.m. day of meal 878-5627 or 675-8112. Senior Citizen Nutrition Program – Meals served at noon. Suggested Donation Over 60- $2.50. Under 60 – Guest Fee $7. Children under 12 – Guest Fee $3.00. Menu subject to change. FRIDAY, MAR. 18: Liver and onions, au gratin potatoes, carrots, Waldorf gelatin mold. Cal:632, Pro:42, Fat:19, Car:74, Cho:282, Sod:891. MONDAY,MAR. 21: Beef stew, coleslaw, ambrosia deluxe, cornmeal roll. Cal:688, Pro:33, Fat:20, Car:95, Cho:67, Sod:910. TUESDAY, MAR. 22: Chili relleno casserole, Spanish rice, tossed salad, fruit cocktail. Cal:719, Pro:31, Fat:24, Car:94, Cho:70, Sod:1425. WEDNESDAY, MAR. 23: Meatloaf, mashed potatoes, beef gravy, vegetable medley salad, applesauce. Cal:879, Pro:49, Fat:37, Car:89, Cho:116, Sod:1059. FRIDAY, MAR. 25: Baked chicken noodles Romanoff, Monte Carlo vegetables, Under the Sea gelatin mold. Cal:794, Pro:49, Fat:31, Car:80, Cho:131, Sod:678. 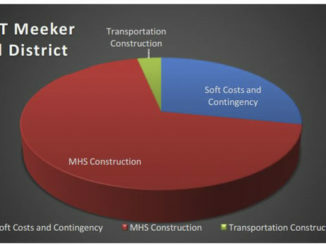 MEEKER STREAKER MID-MONTH SCHEDULE MARCH 2011. NOTE: Activities are subject to change. Bus available on dates noted below. Date, Destination 3/17 Grand Junction. 3/18 Bus in town. Chuckwagon. 3/21 Bus in town. Chuckwagon. 3/22 Rec. Center Trip. 3/23 Bus in town. Chuckwagon. 3/24 Craig. 3/25 Bus in town. Chuckwagon. 3/28 Bus in town. Chuckwagon. 3/29 Bus in town. Chuckwagon. 3/30 Bus in town. Chuckwagon. 3/31 TBA = to be announced. Call Streaker for a ride 942-7125 Bob (not a long distance call). Chuckwagon 878-5627 Shauna. Concessions Fundraising Opportunity available for non-profit group. ERBM Recreation & Park District is looking for a responsible and dependable organization to sell concessions at Paintbrush Park this summer, mid-May to late-August, two to five nights per week and some weekends. If interested, please call Nicole at 878.3403 ext. 217 by April 1, 2011. Anyone needing a ride to the mobile food bank in Meeker on March 24? The Ladies’ Auxiliary of VFW 5843 is offering free rides from 11 a.m. to 1 p.m. Call (970)942-7099, 878-4604 or 878-5526. Craig Gun Show sponsored by Bears Ears Sportsman Club, Loudy Simpson Ice Arena, Craig, Colorado, Saturday & Sunday, April 2 and 3, 9 a.m. to 5 p.m. both days. Admission $5.00 with this coupon $4.00. For information, contact Robin Sloan 826-9788 or 824-6163. Pioneers Medical Center Home Health will be offering its monthly Foot Care Clinic Tuesday, March 22 from 10 a.m. to 11 a.m. at The Pines. A registered nurse and certified nurse assistant will trim toenails, assess circulation give skin care and check blood pressure. Persons found to have circulation or foot problems will be referred to a physician. Please call 878-9625 to schedule an appointment. Walk-ins welcome. 2000 Featherlite 24 ft. aluminum stock trailer, excellent condition, 2 divider doors & 3 slider doors. 2007 JD diesel Gator. 314-5072 or 314-5023. WANTED: Pasture to rent or lease in the Meeker area for 6 pair and a bull for the 2011 season. Call Rich Ellsworth 878-5318. Loading components: 1000 Winchester shotgun primers. .30 (.308) bullets, 110 and 125 gr. 878-3228. Responsible, respectful hunters from Minnesota looking to purchase ranch hunting rights for elk and/or mule deer for the 2011 season. We are self-sufficient and would not need guides, lodging or food. Please contact Troy (218)230-3371 or Sean (612)770-2021 or email: ausmus23@msn.com Thanks! T.J.’s Lawn Care – small tree removal, yard cleanup, cheapest rates in Rangely. Office: (970)675-2126 Cell: (970)589-6527. Everything is going up in cost, gas, food, and clothes. Did you know that most clothing can be upgraded at far less cost than investing in new ones? The Seamstress, 878-3193. Ellen Robinson Photography – Complete High School Senior Portrait Package $200. Weddings, Families, Special Occasions. Invitations & photos on CD available. Web site: www.erphoto8.com Call 878-3621 for appointment. Become a 4-H Leader Join over 6,000 parents and other adults committed to the “Revolution of Responsibility” in Colorado including the 32 4-H Leaders in Rio Blanco County who are committed to 4-H youth development! Rio Blanco County 4-H currently needs Leaders for the following 4-H projects: In Meeker: Fishing, Horseless Horse, Ceramics, Woodworking, Computers, Entomology, Gardening, Pocket Pets, and Small Engines. In Rangely: Ceramics, Woodworking, Computers, Entomology, Gardening, Pocket Pets, Small Engines, Cake Decorating, Cooking, Sewing, and Leadership. And remember, 4-H Enrollment is open 365 days a year- but the sooner you get signed up, the sooner you can enjoy all the benefits of being a 4-H member! Contact the Colorado State University Extension Office in Meeker 878-9490 and in Rangely 878-9495. The Range Call Committee is looking for two individuals interested in helping with the Range Call Royalty. Responsibilities include: organizing clinics, tryouts, traveling with Royalty if needed, and helping with scheduling events that are required or other events the Royalty choose to attend. If you are interested in this volunteer position or assisting with other aspects of the Range Call Celebration, please plan to attend our meetings, which are held the fourth Wednesday of the month at 7 p.m. in the Fairgrounds Kitchen. Volunteers The ERBM Recreation & Park District is recruiting volunteer coaches for the summer baseball season (May-July). Age groups are 8-10, 11-12 and 13-15 years old. Games are played in a traveling league. Please contact the Meeker Recreation Center at 878-3403. 1012 Wall Street (Meeker): MOVING SALE, Saturday, March 19, 8 a.m. to ?? Furniture, household, knickknacks and misc. COUNTY ADMINISTRATOR. County of Rio Blanco, Meeker, CO $55,000-$80,000 DOQ. 65% Facility/Project Management; 35% Administration: Degree in related field with 5 years experience in facility/project management, 3 years experience in budget management and statistical data analysis or experience which provides the knowledge, skills and abilities required for the job. 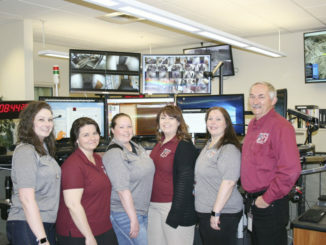 Visit www.co.rio-blanco.co.us/personnel for job information and how to apply. Deadline is March 18, 2011. EOE, #1102. CDL A drivers needed at Redi Services. Call 878-4444 for appointment. Looking for someone for lawn & flower care, $15/hour, 20-30 hours per week, May-Sept. 878-4087. Day care center in Meeker is looking for a full time Director, full time Group Leaders and full time Aides. Please stop by Angels & Outlaws Academy, LLC at 1032 Jennifer Drive or call (970)878-9907, ask for Becky. Water Commissioner Rio Blanco County CO, Division of Water Resources, Permanent Part-time (9 mo), Salary $3250-5055 monthly, Apply by March 25, 2011. For info & requirements www.water.state.co.us EOE. The ERBM Recreation & Park District is hiring for softball and baseball umpires for the summer season. Pay is per game and mainly nights and weekend hours. Please contact the Meeker Recreation Center at 878-3403. EOE. FSBO: Great family home with 2,570+ SF, 5 BDR, 2.75 BA, fenced yard. 733 9th St., $243,000. View at: www.westernslopefsbo.com Shown by appt. 878-5114. RANGELY, COLORADO – Property located in west Rangely on Highway 64. 3.47 acres zoned commercial (platted); 1.77 acres zoned residential (platted); 18.97 acres zoned mixed residential. Priced separate or as complete package. Contact Western United Realty in Craig, Colorado (970)824-3202. NOW AVAILABLE: 6 Commercial/Industrial lots across the street from Redi Services on County Rd. 15, Meeker from 2.5 acre to 5 acre lots in Liberty Industrial Park. Serious investors only. Please call Randy at (970)878-4077. 680 Water Street 2 BDR, 1 BA, Rent & Lease Terms Negotiable. Storage Units also available for tenants. No Pets. (970) 878-5187. 3 BDR townhouse with covered deck, fully remodeled, no smoking, all appliances including washer & dryer, no pets. Covered parking. References required. Rent reduced to $700/month + $800 damage deposit. Available now. (970)379-3941 or (970)878-5486. 2 BDR townhouse with covered deck, new carpet & laminate flooring, new paint, no smoking, all appliances including washer & dryer, no pets. Covered parking. References required. Rent reduced to $550/month + $650 damage deposit. Available now. (970)379-3941 or (970)878-5486. Apartment for rent, 2 BDR, 1 BA, furnished, utilities included, above restaurant. No smoking, no pets. $800/month. 878-4141 or 878-4198 leave message. 2 bedroom houses, 2 bedroom townhouses, 2 bedroom apartments. Available immediately. (970)878-3394, leave message. 3 BDR townhouse, covered patio, all appliances including washer & dryer, no smoking, no pets. References required. $600/month + $750 damage deposit. Available now. (970)379-3941 or (970)878-5486. 2 BDR townhouse, covered patio, all appliances including washer & dryer, no smoking, no pets. References required. Rent reduced to $525/month + $650 damage deposit. Available now. (970)379-3941 or (970)878-5486. 2 Months Free & New Rental Rate! 2 BDR, 2 BA fully furnished, A/C, in unit W/D, utilities included. Internet, TV & phone ready, NS/NP. $800/month with 1 year lease. Western Exposures Realty (970)878-5877. GREAT DEAL Very clean 1 BDR, 1 BA apartment. All utilities plus trash included, $500/month. Require $500 1st, $500 last and $500 security deposit. For info., call (970)220-2150. FOR RENT: 4 BDR, 2 BA house with garage. Quiet neighborhood, great view, NS, NP. $1300/month + utilities and 1 month deposit. 861 10th Street. Call (970)629-0151. HOUSE FOR RENT: 3+ BDR, 1 BA, lots of living and storage, 1 car garage, yard & trees. Available mid-April. Call (970)629-9714. Clean 3 BDR, 1.5 BA townhouse, washer & dryer included. Well-behaved pet possibly with pet deposit. $850/month plus security deposit. (970)756-8772. For rent: Furnished one-bedroom apartment. All utilities are included. Very clean and quiet. $600 per month and $500 deposit. 878-4754. RENT OR BUY: 4 BDR, 3 BA, large fenced yard, 3-car garage and workshop. $1400/month + security deposit. Call 878-3301. New 4 BDR, 2.5 BA, 2 car garage house. Extremely energy efficient. Serious inquiries only. (970)629-9714. Quiet 2 BDR, 1 BA apartment. $525/month + utilities. Call (970)878-3736. For rent in Dinosaur: 2 BDR, 1 BA apartment. References, application and damage deposit required. (970)374-2004 or (970)620-1727. 2008 GMC Canyon 4×4 pickup, 4-door, very low miles. 314-5072 or 314-5023. 2001 GMC Yukon XL 2500. Black, leather, heated seats, CD/cassette, auto 4WD, seats 8. 211K. $6,950 OBO. Willing to trade for Toyota pickup of similar retail value and condition. 970-948-7617, leave message. Kymco 90 ATV. Asking $1100 OBO. 970-948-7617, leave message. 14 ft. fishing boat with trailer for sale. (970)556-9940. 1985 Skamper 8 ft. popup camper for long or short wheel base, full-size pickup, new 18,000 BTU furnace, new ice box, $1100. (970)878-3439. Rocky Mountain Auto-Craig. Selling quality used cars, with limited warranty, financing WAC, give us a call 824-5749, Dealer. Over 5 miles or no title, call for details. Valley Repair, Inc. 878-3316. 1987 Cree 5th wheel for sale. (970)556-9940. Used: 3 good gooseneck, 1 bumper pull flatbed trailers, 2 used B&W hitches. New: Dump and flatbed trailers. Craig dealer, 824-6544. RIO BLANCO COUNTY ACCOUNTS PAYABLE PUBLICATION LIST FEBRUARY 28 2011. FUND: GENERAL; VENDOR, PURPOSE, AMOUNT; TYLER TECH INC.-DALLAS, VC-PRCH SVCS, $(29,947.75); MEEKER SCHOOL DISTRICT, MC-PRCH SVCS, $1,806.00; TYLER TECH INC.-DALLAS, MC-PRCH SVCS, $29,947.75; 2H MECHANICAL SERVICE, PRCH SVCS, $315.00; 4-H COUNCIL, PRCH SVCS, $150.00; ALSCO INC, PRCH SVCS, $1,057.23; ASPEN LEAF DENTAL, PRCH SVCS, $285.00; ATMOS ENERGY, UTIL, $1,872.80; AVEY MONA, TRVL ADVNC, $486.00; BACK TO HEALTH CHIROPRACTIC, PRCH SVCS, $60.00; BOLTON SHAWN, SPLYS, $75.85; BOY-KO SUPPLY COMPANY, SPLYS, $303.45; CABELA’S MKTG & BRAND, SPLYS, $131.94; CAMPBELL JANA, PRCH SVCS, $5.00; CDW GOVERNMENT INC., SPLYS, $1,340.98; CENTRAL DISTRIBUTING, SPLYS, $425.51; CENTURYLINK, PRCH SVCS, $238.08; CHUCK WHITEMAN AND ASSOC, REFUND, $150.00; CNCC, CNTC SVCS, $2,250.00; CO AIRPORT OPERATORS ASSOC, TRVL/SUBSCRPTS, $240.00; CO ASSN OF TAX APPRS, PRCH SVCS, $150.00; CO ASSESSORS’ ASSOC, PRCH SVCS, $20.00; CO COUNTY ATTY’S ASSOC, DUES, $450.00; CO DEPT OF PUBLIC HEALTH, PRCH SVCS, $209.00; CO DIVISION OF HOUSING, SPLYS, $400.00; CO STATE FIRE CHIEFS ASSOC, PRCH SVCS, $100.00; CONTEX AMERICAS INC, PRCH SVCS, $815.50; CREDIT UNION OF CO, PRCH SVCS, $5,167.41; DAILY SENTINEL THE, PRCH SVCS, $700.00; DEPT OF THE INTERIOR, WATER MNTRG, $23,477.50; DISTRICT ATTORNEY OFFICE, PRCH SVCS, $19,761.58; DUCEY’S ELECTRIC INC., PRCH SVCS/SPLYS, $495.42; E&E DOOR & WINDOW, SPLY/PRCH SVCS, $2,037.00; EKSTROM WILLIAM A., TRVL/PRCH SVCS, $655.95; FEDEX, PRCH SVCS, $146.93; GALL’S INC., UNIF/CLOTH/SPLY, $3,502.54; GARNER MIKE, PRCH SVCS, $232.50; GLOBALSTAR USA, PRCH SVCS, $40.96; GRAINGER, SPLYS, $110.57; HART INTERCIVIC, PRCH SVCS, $75.00; HERITAGE BUILDING, RPRS/MTNC, $9.48; HERRING ERIC, SPLYS, $194.20; JACKSON’S OFFICE SUPPLY, SPLYS, $1,260.09; JORDAN WILLIAM H., SPLYS, $60.32; KEELER NANCY, PRCH SVCS, $5.90; LAW ENFORCEMENT ASSOC, SPLYS, $1,596.95; LEDS INC., PRCH SVCS, $2,950.00; LEISCHER ROXIE, SPLYS, $149.96; MASTER’S TOUCH LLC, PRCH SVCS, $28.60; MCGUIRE AUTO PARTS, SPLYS, $4.99; MEEKER AIRPORT – CONTRACT, CNTC SVCS, $4,388.08; MEEKER CHAMBER OF COMM, CHAMBER DUES, $500.00; MEEKER SANITATION DIST, UTIL, $185.00; MEEKER TOWN OF, UTIL, $362.00; MID-AMERICAN RESEARCH, SPLYS, $255.00; MOON LAKE ELECTRIC, PRCH SVCS, $16.64; MOUNTAIN VET SUPPLY, PRCH SVCS, $7.96; NORTHWEST AUTO, PRCH SVCS, $125.00; OXYMAGIC OF GRAND JUNCTION, PRCH SVCS, $177.00; PARSONS KEN, PRCH SVCS, $159.00; PEARSON COMMUNICATIONS, SPLYS, $1,264.00; PIONEERS MEDICAL CENTER, PRCH SVCS, $1,838.83; PITNEY BOWES RESERVE, PRCH SVCS, $839.98; PLATINUM CHEMICALS, SPLYS, $527.00; QUESTAR GAS MANAGEMENT, ERR/OMM, $50.00; QUILL CORPORATION, SPLYS, $122.83; QWEST, PRCH SVCS, $733.70; QWEST – LONG DISTANCE, PRCH SVCS, $196.67; RAM DESIGNS L.L.C., PRCH SVCS, $213.75; RANGELY TOWN OF, UTIL, $589.60; RANGELY TRUE VALUE, SPLY/RPRS/MTNC, $388.84; REDI SERVICES LLC, PRCH SVCS, $702.00; RESPOND FIRST AID, PRCH SVCS, $45.18; RIO BLANCO HERALD TIMES, PRCH SVCS, $1,000.33; RR DONNELLEY, PRCH SVCS, $797.12; SAMUELSON’S TRUE VALUE, SPLYS, $202.09; SIGN SMITH LLC, SPLYS, $184.00; SPECTORSOFT, PRCH SVCS, $2,487.50; STAPLES ADVANTAGE, SPLYS, $1,865.98; SWANSON SERVICES CORP, SPLYS/FOOD SPLY, $239.64; TOSHIBA, SPLYS, $63.99; TUCK COMMUNICATION, CPTL OTLY, $870.90; TURNER KAI, TRVL, $388.80; U.S. POSTAL SERVICE, PRCH SVCS, $185.00; UNION TELEPHONE COMPANY, PRCH SVCS/SPLYS, $8,426.74; UNITED LABORATORIES, SPLYS, $209.84; US IMAGING, PRCH SVCS, $1,407.24; VALLEY HARDWARE, SPLYS, $321.69; VALUE WEST INC, PRCH SVCS, $2,200.00; VISUAL LEASE SERVICES, PRCH SVCS, $13,625.00; WATSON DESSA, OTHER IG 4-H, $111.99; WATT’S RANCH MARKET, FOOD SPLYS/SPLY, $1,464.26; WEATHERFORD ELECTRIC, PRCH SVCS/SPLYS, $362.30; WENDLL’S, PRCH SVCS, $26.48; WESTERN SLOPE CONSULTING, PRCH SVCS, $31,131.00; WHITE RIVER DISTRIBUTION, SPLY/PRCH SVCS, $156.50; WHITE RIVER ENERGY, PRCH SVCS, $1,200.00; WHITE RIVER MARKET, FOOD SPLYS/SPLY, $1,096.55; US DEPT. OF THE TREASURY, FED W/H, $28,721.60; CO DEPT OF REVENUE, STATE W/H, $9,196.50; US DEPT. OF THE TREASURY, FICA W/H, $39,503.15; GREAT WEST, RETIREMENT, $44,718.16; CEBT, INSURANCE, $97,459.95; FAMILY SUPPORT REGISTRY, WAGE ASNMT, $868.00; WASH STATE SUPPORT, WAGE ASNMT, $600.00; GENERAL FUND TOTAL, $380,781.55; FUND: CAPITAL EXPENDITURE; VENDOR, PURPOSE, AMOUNT; TYLER TECH INC.-DALLAS, VC-PRCH SVCS, $(100,245.03); TAYLOR FENCE COMPANY, RA FENCE, $1,172.20; CAPITAL EXPENDITURE FUND TOTAL, $(99,072.83); FUND: ROAD & BRIDGE; VENDOR, PURPOSE, AMOUNT; ACE/EATON METALS, CULVERT INV, $3,240.00; CASCADE SOFTWARE SYSTEM, PRCH SVCS, $61.62; CENTURYLINK, PRCH SVCS, $98.53; CREDIT UNION OF CO, PRCH SVCS, $660.44; ENVIROTECH SERVICES, MTRLS, $15,314.85; GRAND VALLEY IMAGING, PRCH SVCS, $30.00; GREEN PROVENCE, MTRLS, $596.32; HERITAGE BUILDING, SPLYS, $28.90; JACKSON’S OFFICE SUPPLY, SPLYS, $157.21; LYLE SIGNS INC. NW 71, SIGN MTRL, $2,063.74; MCGUIRE AUTO PARTS, MTRLS, $15.94; MEEKER AUTO PARTS, MTRLS, $23.22; MEEKER SAND & GRAVEL, ROAD MTRLS, $569.25; NICHOLS STORE, PRCH SVCS, $16.00; PITNEY BOWES RESERVE, PRCH SVCS, $33.80; QWEST, PRCH SVCS, $145.45; QWEST – LONG DISTANCE, PRCH SVCS, $37.94; RBC-R&B PETTY CASH MKR, PRCH SVCS, $79.43; RESPOND FIRST AID, SPLYS, $18.36; RIO BLANCO HERALD TIMES, PRCH SVCS, $92.74; ROCKY MTN ASPHALT CONF, PRCH SVCS, $1,110.00; SAMUELSON’S TRUE VALUE, MTRLS/SPLYS, $175.94; TOOLS PLUS INDUSTRIES, SPLYS, $134.97; UNION TELEPHONE COMPANY, PRCH SVCS, $123.75; VALLEY HARDWARE, SPLYS, $7.99; WATT’S RANCH MARKET, SPLYS, $107.84; WHITE RIVER DISTRIBUTION, SPLY/PRCH SVCS, $43.75; WHITE RIVER MARKET, SPLYS, $14.76; XEROX CORPORATION, PRCH SVCS, $131.36; US DEPT. OF THE TREASURY, FED W/H, $13,120.35; CO DEPT OF REVENUE, STATE W/H, $4,372.00; US DEPT. OF THE TREASURY, FICA W/H, $16,917.16; GREAT WEST, RETIREMENT, $16,621.87; CEBT, INSURANCE, $44,244.37; CLERK OF RB COURTS, WAGE ASNMT, $682.59; STATE OF FLORIDA DSBRSMNT, WAGE ASNMT, $400.00; ROAD & BRIDGE FUND TOTAL, $121,492.44; FUND: PUBLIC HEALTH AGENCY; VENDOR, PURPOSE, AMOUNT; CENTURYLINK, PRCH SVCS, $50.64; COLORADO SCIENTIFIC CO, SPLYS, $60.21; CREDIT UNION OF CO, PRCH SVCS, $247.71; DOCUMENT SECURITY INTERESTS, PRCH SVCS, $65.00; GLOBALSTAR USA, PRCH SVCS, $55.75; LAB SAFETY SUPPLY INC, SPLYS, $261.98; PIONEERS MEDICAL CENTER, PRCH SVCS, $619.63; PITNEY BOWES RESERVE, PRCH SVCS, $6.33; QWEST, PRCH SVCS, $97.80; QWEST – LONG DISTANCE, PRCH SVCS, $29.47; R & S NORTHEAST LLC, SPLYS, $1,539.71; RANGELY DISTRICT HOSPITAL, PRCH SVCS, $18.00; RANGELY FAMILY MEDICINE, PRCH SVCS, $460.00; RBC SOCIAL SERVICES DEPT, SPLYS, $158.79; RIO BLANCO HERALD TIMES, PRCH SVCS, $103.00; STAPLES ADVANTAGE, SPLYS, $24.57; UNION TELEPHONE COMPANY, PRCH SVCS, $43.89; WHITE RIVER DISTRIBUTION, PRCH SVCS, $15.00; US DEPT. OF THE TREASURY, FED W/H, $1,733.40; CO DEPT OF REVENUE, STATE W/H, $505.00; US DEPT. OF THE TREASURY, FICA W/H, $2,876.80; GREAT WEST, RETIREMENT, $2,836.05; CEBT, INSURANCE, $6,362.02; PUBLIC HEALTH AGENCY FUND TOTAL, $18,170.75; FUND: SOCIAL SERVICES; VENDOR, PURPOSE, AMOUNT; QWEST – LONG DISTANCE, PRCH SVCS, $49.54; US DEPT. OF THE TREASURY, FED W/H, $5,116.86; CO DEPT OF REVENUE, STATE W/H, $1,584.70; US DEPT. OF THE TREASURY, FICA W/H, $5,962.66; GREAT WEST, RETIREMENT, $5,088.21; CEBT, INSURANCE, $13,396.07; DSS ACCOUNTS PAYABLE, $7,700.80; SOCIAL SERVICES FUND TOTAL, $38,898.84; FUND: CAPITAL IMPROVEMENT; VENDOR, PURPOSE, AMOUNT; ARCHETYPE DESIGN GROUP, MLTIPRPS BLDG, $240.00; BUILDING BY DESIGN, MLTIPRPS BLDG, $31,500.00; CELLXION LLC, RADIO PRJCT, $3,499.00; ENNOVATE CORPORATION, ENERGY ASMNT, $31,689.31; GDA, ENV ASMNT/SEAL, $19,080.26; CAPITAL IMPROVEMENT FUND TOTAL, $86,008.57; FUND: USE TAX; VENDOR, PURPOSE, AMOUNT; BIG D’S PUMPING INC., PRCH SVCS, $249.00; BOY-KO SUPPLY COMPANY, SPLYS, $144.75; CENTURYLINK, PRCH SVCS, $142.80; CNCC, CNTC SVCS, $2,000.00; EXXON MOBIL CORP, REFUND, $15,692.74; FOOD BANK OF THE ROCKIES, FOOD SPLY/SPLY, $776.64; NICKSON ANNALEE, PRCH SVCS, $45.72; PIONEERS HOSPITAL-TRANSPORT, PRCH SVCS, $53,387.00; PITNEY BOWES RESERVE, PRCH SVCS, $20.99; QWEST, PRCH SVCS, $86.11; QWEST – LONG DISTANCE, PRCH SVCS, $9.46; RANGELY TOWN OF, UTIL, $622.49; RANGELY TRASH SERVICE, PRCH SVCS, $164.00; RANGELY TRUE VALUE, SPLYS, $68.13; REDI SERVICES LLC, PRCH SVCS, $52.00; UNION TELEPHONE COMPANY, PRCH SVCS, $12.27; U.S. FOODSERVICE INC., FOOD SPLYS, $2,017.12; WATT’S RANCH MARKET, FOOD SPLYS, $215.97; WHITE RIVER MARKET, FOOD SPLYS, $93.55; US DEPT. OF THE TREASURY, FED W/H, $1,406.55; CO DEPT OF REVENUE, STATE W/H, $506.50; US DEPT. OF THE TREASURY, FICA W/H, $1,989.66; GREAT WEST, RETIREMENT, $1,531.38; CEBT, INSURANCE, $4,938.72; USE TAX FUND TOTAL, $86,173.55; FUND: IMPACT FEE; VENDOR, PURPOSE, AMOUNT; HDR ENGINEERING INC, CR 5 CRDR, $257,986.40; IMPACT FEE FUND TOTAL, $257,986.40; FUND: SOLID WASTE LANDFILL; VENDOR, PURPOSE, AMOUNT; CAROLINA SOFTWARE, SPLYS, $207.50; DOWN VALLEY SEPTIC, PRCH SVCS, $130.00; KRW CONSULTING INC., PRCH SVCS, $1,383.36; RIO BLANCO HERALD TIMES, PRCH SVCS, $212.50; UNION TELEPHONE COMPANY, PRCH SVCS, $24.54; VALLEY HARDWARE, SPLYS, $29.97; WHITE RIVER DISTRIBUTION, PRCH SVCS, $15.00; WHITE RIVER ELECTRIC, PRCH SVCS, $109.00; US DEPT. OF THE TREASURY, FED W/H, $1,192.45; CO DEPT OF REVENUE, STATE W/H, $388.00; US DEPT. OF THE TREASURY, FICA W/H, $1,460.06; GREAT WEST, RETIREMENT, $1,085.88; CEBT, INSURANCE, $2,968.50; SOLID WASTE LANDFILL FUND TOTAL, $9,206.76; FUND: WEED & PEST; VENDOR, PURPOSE, AMOUNT; CREDIT UNION OF CO, PRCH SVCS, $420.78; PITNEY BOWES RESERVE, PRCH SVCS, $7.04; QWEST – LONG DISTANCE, PRCH SVCS, $1.24; UNION TELEPHONE COMPANY, PRCH SVCS, $12.27; US DEPT. OF THE TREASURY, FED W/H, $473.96; CO DEPT OF REVENUE, STATE W/H, $148.00; US DEPT. OF THE TREASURY, FICA W/H, $526.47; GREAT WEST, RETIREMENT, $525.00; CEBT, INSURANCE, $1,695.06; WEED & PEST FUND TOTAL, $3,809.82; FUND: FAIRFIELD; VENDOR, PURPOSE, AMOUNT; ATMOS ENERGY, UTIL, $1,428.65; BARCO PRODUCTS CO., SPLYS, $120.06; BOY-KO SUPPLY COMPANY, SPLYS, $311.82; DUCEY’S ELECTRIC INC., PRCH SVCS/SPLY, $139.28; LUNSFORD MECHANICAL CO, RPRS/MTNC, $4,039.71; MEEKER SANITATION DIST, UTIL, $57.00; MEEKER TOWN OF, UTIL, $588.00; QWEST, PRCH SVCS, $82.62; QWEST – LONG DISTANCE, PRCH SVCS, $1.86; REDI SERVICES LLC, PRCH SVCS, $305.00; SAMUELSON’S TRUE VALUE, SPLYS, $16.81; ULTIMATE FLOORING, SPLY/PRCH SVCS, $980.00; UNION TELEPHONE COMPANY, PRCH SVCS, $14.11; VALLEY HARDWARE, SPLYS, $239.14; WATT’S RANCH MARKET, SPLYS, $38.43; WHITE RIVER ENERGY, PRCH SVCS, $20.00; US DEPT. OF THE TREASURY, FED W/H, $484.51; CO DEPT OF REVENUE, STATE W/H, $161.80; US DEPT. OF THE TREASURY, FICA W/H, $668.01; GREAT WEST, RETIREMENT, $602.70; CEBT, INSURANCE, $637.19; FAIRFIELD FUND TOTAL, $10,936.70; FUND: CENTRAL SERVICES; VENDOR, PURPOSE, AMOUNT; CENTURYLINK, PRCH SVCS, $96.28; FSH COMMUNICATIONS, PRCH SVCS, $153.15; PITNEY BOWES RESERVE, PRCH SVCS, $92.15; QWEST, PRCH SVCS, $1,158.47; QWEST – LONG DISTANCE, PRCH SVCS, $15.48; STRATA NETWORKS, INTRST, $1,128.74; UNION TELEPHONE COMPANY, PRCH SVCS, $83.47; XEROX CORPORATION, CNTC SVCS, $436.18; CEBT, INSURANCE, $1,201.00; CENTRAL SERVICES FUND TOTAL, $4,364.92; FUND: FLEET; VENDOR, PURPOSE, AMOUNT; A&E TIRE INC., TIRES, $2,837.40; AIRGAS INTERMOUNTAIN, SPLYS/MISC INV, $366.55; ATMOS ENERGY, UTIL, $1,246.05; COLUMBINE FORD INC., PRTS/ACC, $191.67; C.R. BROWN, DIESEL/GAS, $84,469.06; CRAIG POWERSPORTS, PRTS/ACC, $265.65; CREDIT UNION OF CO, PRCH SVCS, $545.38; DELTA RIGGING & TOOLS, PRTS/ACC, $1,233.00; EKSTROM WILLIAM A., GAS, $8.00; GARNER MIKE, GAS, $40.01; GILBARCO INC., PRCH SVCS, $190.38; GRAINGER, SPLYS, $189.63; HANSON INTERNATIONAL, PRTS/ACC, $4,975.03; HONNEN EQUIPMENT CO., PRTS/ACC, $2,770.68; JACKSON’S OFFICE SUPPLY, SPLYS, $289.97; JAMAR TECHNOLOGIES, PRTS/ACC, $1,069.72; MCGUIRE AUTO PARTS, PRTS/ACC/LUBE, $4,561.99; MEEKER AUTO PARTS, PRTS/ACC/SPLYS, $1,464.96; MEEKER COLLISION CENTER, RPR/MTNC/PRTS, $3,464.16; MEEKER SANITATION DIST, UTIL, $57.00; MEEKER TOWN OF, UTIL, $52.00; NIELSEN SCOTT, GAS, $62.85; NORTHWEST AUTO, SPLYS, $15.06; NT CARQUEST AUTO PARTS, SPLYS/PRTS/ACC, $49.01; PEARSON COMMUNICATIONS, PRTS/ACC, $317.70; QWEST, PRCH SVCS, $62.36; RANGELY AUTO PARTS, PRTS/ACC, $536.23; RANGELY TOWN OF, UTIL, $1,929.39; RANGELY TRASH SERVICE, PRCH SVCS, $145.99; RANGELY TRUE VALUE, PRTS/ACC, $31.98; ROCKY MOUNTAIN MACHINE, PRTS/ACC, $572.50; SAMUELSON’S TRUE VALUE, SPLYS, $3.52; SNAP ON TOOLS, SPLYS, $17.80; STEWART WELDING, PRTS/ACC, $117.86; TIRE DISTRIBUTION SYSTEMS, TIRES, $176.01; VALLEY HARDWARE, PRTS/ACC, $24.99; VERMEER SALES & SERVICE, PRTS/ACC, $140.63; WAGNER EQUIPMENT INC., PRTS/ACC, $862.95; WATSON DESSA, GAS, $57.86; WESTERN COLORADO TRUCK, PRTS/ACC, $2,008.49; WESTERN IMPLEMENT CO., PRTS/ACC, $286.47; WESTERN PETROLEUM, LUBE, $5,737.70; WHITE RIVER ENERGY, UTIL, $494.24; XCEL ENERGY, UTIL, $265.42; US DEPT. OF THE TREASURY, FED W/H, $2,647.34; CO DEPT OF REVENUE, STATE W/H, $876.50; US DEPT. OF THE TREASURY, FICA W/H, $4,140.74; GREAT WEST, RETIREMENT, $3,773.05; CEBT, INSURANCE, $10,624.48; FLEET FUND TOTAL, $146,267.41; Published: March 17, 2011; Rio Blanco Herald Times. Town of Meeker Bid Request – The Town of Meeker is asking for bidders to do some repair and replacement of sheetrock at Town Hall. The sheetrock repair is located in the Boiler Room and the Elevator Shaft. The outside repair is replacing some soffit and fascia on the underside of the roof. Persons interested in bidding this work shall schedule a walk-through of the project prior to bidding with Joe Holeyfield at 970-878-4963 Bids shall be submitted to Town Hall 345 Market Street, Meeker, CO by March 31st, 2011 1:00PM. The Town reserves the right to reject any and all bids; to change, add, or amend the specifications; to waive any informalities; and the right to disregard all nonconforming or conditional bids or counter proposals. Each proposal shall be reviewed and considered consistent with the provisions of the Town of Meeker Personnel Policy and Procedures Manual. Faxed or e-mailed bids are acceptable but must be received prior to bid closing. Bids should be placed in a securely sealed envelope, marked Town Hall Bid. Bids will be opened and read aloud on March 31st 2011, at 1:00PM. Bid will be awarded at the Town Board of Trustees Meeting on April 5th, 2011 at 7:00PM. Publish: March 17 and 24, 2011 Rio Blanco Herald Times. PUBLIC NOTICE – Pursuant to Title 34, Article 35, Paragraph 3, of the Colorado Revised Statutes, Blue Mountain Energy, Inc. hereby issues notice that an application for a technical revision to the Deserado Mine Permit No. C-1981-018 submitted by Blue Mountain Energy, Inc. 3607 CR 65, Rangely, CO 81648, was deemed complete for the purpose of filing. All review and comment periods as provided in the Act and Regulations promulgated thereunder initiate from this day of filing. The revision (Technical Revision 68) allows the addition of the B-seam dewatering system to the permit. The Deserado Mine Permit area lies within USGS 7.5 minute Quadrangle maps entitled “Rangely NE” and “Cactus Reservoir”. These areas are situated in T3N, R101W, 6th P.M. in Rio Blanco County about 10 miles northeast of the Town of Rangely. A copy of the technical revision application is available for public inspection at the Town Clerk’s office, Town Hall in Rangely. Written comments or objections to the application must be submitted to Colorado Division of Reclamation, Mining and Safety, 1313 Sherman Street, Room 215, Denver, Colorado 80203, (303)866-3567 within ten (10) days of the date of publication. Published: March 17, 2011 Rio Blanco Herald Times. PUBLIC NOTICE – Pursuant to Title 34, Article 33, Paragraph 118, of the Colorado Revised Statutes, Blue Mountain Energy, Inc. hereby issues notice that an application for a permit revision to the Deserado Mine Permit No. C-1981-018 submitted by Blue Mountain Energy, Inc. 3607 CR 65, Rangely, CO 81648, was deemed complete for the purpose of filing. All review and comment periods as provided in the Act and Regulations promulgated thereunder initiate from this day of filing. The revision adds an additional 200 acres to the mining permit area central to the existing operations. The Deserado Mine Permit area lies within USGS 7.5 minute Quadrangle maps entitled “Rangely NE” and “Cactus Reservoir”. These areas are situated in T2N, R101W and T3N, R101W, 6th P.M. in Rio Blanco County about 10 miles east of the Town of Rangely. A copy of the permit revision application is available for public inspection at the Town Clerk’s office, Town Hall in Rangely. Written comments, objections, requests for informal conference, or requests for a public hearing held in the locality of the proposed mining operation for the purpose of determining whether the interests of the public and affected landowners will be protected concerning this application must be submitted to Colorado Division of Reclamation, Mining and Safety, 1313 Sherman Street, Room 215, Denver, Colorado 80203, (303)866-3567 within thirty (30) days of the last publication. Publish: Mar. 17, 24, 31 & Apr. 7, 2011 Rio Blanco Herald Times. INVITATION FOR BIDS CLOSING BID DATE – April 1, 2011. TOWN OF MEEKER, 345 Market Street, MEEKER, CO 81641. Sealed BIDS to furnish and install approximately 20,000 pounds of hot-pour, Deery American Super stretch 974, in the Town of Meeker (Please refer to Specifications). Please bid as follows: Clean cracks, furnish and install crack sealant all performed by bidder. The closing bid date is Thursday, April 1, 2011 at 3:30 p.m. at which time bids will be opened and read aloud. The Town Board of Trustees will award the bid on Tuesday, April 5, 2011 at Town Hall (basement), 345 Market Street, Meeker. The successful bidder must maintain workers compensation, general liability insurance in the amount of no less than $1,000,000.00 during the project. The Town reserves the right to reject any and all bids and waive any and all informalities, and the right to disregard all nonconforming or conditional bids or counter proposals. Contract award and preference will be based upon The Town of Meeker Personnel Policy and Procedures manual, entitled “Contracts-Award-Preference”. More Information is Available by Russell Overton 970)878-5530 or 878-5344. Bids shall be mailed or delivered to the Town of Meeker, 345 Market St., Meeker, Co 81641 or faxed to (970)878-4513. Mailed bids shall be sealed and “Meeker 2011 Hot Pour Crack Filling Project Bid” shall be written upon the front of the envelope. Specifications are available at Town Hall, 345 Market St., Meeker, CO 81641 or requested by telephone at (970)878-5344. THE BOARD OF TRUSTEES OF THE TOWN OF MEEKER, Sharon Day, Town Administrator. Publish: March 17 and 24, 2011 Rio Blanco Herald Times. MEEKER SCHOOL DISTRICT, RE-1 Board of Education Video Meeting Notice, Rio Blanco County Administration Bldg., 200 Main Street, Meeker, Colo., Tuesday, March 22, 2011, 7:00 p.m., Rio Blanco BOCES Board Meeting. Published: March 17, 2011, Rio Blanco Herald Times. NOTICE TO CREDITORS IN THE MATTER OF THE ESTATE OF Robert John Lanstrum, also known as Robert J. Lanstrum and Robert Lanstrum and Bob Lanstrum, Deceased. Case No. 2011 PR 09. All persons having claims against the above-named estate are required to present them to the personal representative or to the District Court of Rio Blanco County, at the Meeker Court house, 555 Main St., PO Box 1150, Meeker CO 81641 (970 878 5622) on or before July 29, 2011 or the claims may be forever barred. F. Joseph Fennessy JR. # 10477, Attorney for Personal Representative, PO Box 1518, Meeker CO 81641, 970 878 4783. 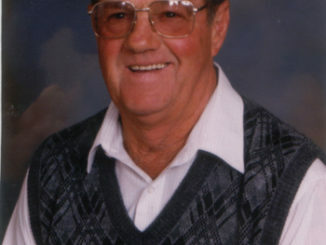 Robert John Lanstrum, Personal Representative, 206 Market St, Meeker CO 81641, 970 878 3141. Publish: March 17, 24 and 31, 2011 Rio Blanco Herald Times. PUBLIC NOTICE – The Board of County Commissioners will hold a regularly scheduled board meeting on Monday, March 21, 2011, County Annex, Rangely, Colorado. TENTATIVE AGENDA – 11:30 a.m. Board of County Commissioners: a. Pledge of Allegiance, b. Changes to the Agenda, c. Minutes of the March 14, 2011 Board Meeting, d. Liquor License Renewal: 1. Seven Lakes lodge LLC Hotel and Restaurant, e. Mellon Hill Tower License Agreement, f. Other. 11:40 a.m. Bid Awards: 1. Vehicles & Other, 2. Herbicides. 11:50 a.m. Rio Blanco Water Conservancy District: 1. Annual Update. 12:00 p.m. Public Comment. 12:10 p.m. Commissioners Update. OTHER COUNTY BUSINESS. If you need special accommodations please call 970-878-9573 in advance of the meeting so that reasonable accommodations may be made. Please check the County’s website for an updated agenda. www.co.rio-blanco.co.us Published: March 17, 2011 Rio Blanco Herald Times. NOTICE TO CREDITORS – Estate of Phillip A. Jensen, Deceased. Case Number 11PR3. All persons having claims against the above-named estate are required to present them to the Personal Representative or to District Court of Rio Blanco County, Colorado on or before July 18, 2011 or the claims may be forever barred. Margaret K. Pappas, Personal Representative, c/o Graft, Campbell & Parker, P.C., 7430 E. Caley Ave., #300, Centennial, CO 80111. Publish: March 17, 24 and 31, 2011 Rio Blanco Herald Times. RIO BLANCO COUNTY PLANNING COMMISSION MEETING March 31, 2011, 7:00 P.M. RIO BLANCO COUNTY ADMINISTRATION BUILDING 200 MAIN STREET MEEKER, COLORADO. The tentative agenda as follows: 1. Roll Call. 2. Additions/Changes to Agenda. 3. Approval of Minutes. 4. New Business: a. Workshop: Discussion on draft By-Laws for the Planning Commission. b. Workshop: Discussion on draft LUR Articles 1 and 2. 5. Discussion of Work in Development (Plan, Processes, Standards, etc.) and/or Administrative Matters: 6. Old Business: Copies of the application(s), regulation(s) and/or resolution(s) may be examined in the office of the Development Department at the Rio Blanco County Administration Building, 200 Main Street, Meeker, Colorado, or you may call (970) 878-9580 for more information between the hours of 8:00 a.m. and 5:00 p.m. Persons needing special accommodations for the meeting, please call the Development Department office at (970) 878-9580 giving at least five (5) working days notice so that adequate accommodations may be made. Publish: March 17 and 24, 2011 Rio Blanco Herald Times. PUBLIC NOTICE – Cellular Inc. Network Corporation d/b/a Verizon Wireless is proposing to construct a 50-foot lattice communications tower located on the Colorado Northwest Community College’s vacant land in Rangely, CO. Any interested party wishing to submit comments regarding the effect the proposed facility may have on any historic property may do so by sending such comments to J.Franklin, 303.218.3527, 165 S. Union Blvd., Ste. 310, Lakewood, CO 80228. Published: March 17, 2011 Rio Blanco Herald Times. NOTICE OF INVITATION COAL EXPLORATION LICENSE COC XXXXX. Pursuant to the Mineral Leasing Act of February 25, 1920, as amended, and to Title 43, Code of Federal Regulations, Subpart 3410, members of the public are hereby invited to participate with Blue Mountain Energy, Inc. in a program for the exploration of unleased coal deposits owned by the United States of America in the following described lands in Rio Blanco County, Colorado. T3N, R101 W, 6th P.M. Sec. 17: S1/2 of SW1/4; Sec. 18: SE1/4, E1/2 of SW1/4; Sec. 19: NE1/4, E1/2 of NW1/4, SW1/4 of NW1/4, SW1/4, NW1/4 of SE1/4. T3N, R102 W, 6th P.M. Sec. 24: SE1/4, S1/2 of NE1/4, E1/2 of SW1/4, SE1/4 of NW1/4; Sec. 25: NE1/4, E1/2 of NW1/4. The area described contains 1,375.00 acres. The application for coal exploration license is available for public review during normal business hours under serial number COC XXXXX at the Bureau of Land Management (BLM), Colorado State Office, 2850 Youngfield Street, Lakewood, Colorado 80215 and at the White River Field Office, 220 E. Market Street, Meeker, Colorado 81641. Written Notice of Intent to Participate should be addressed to the attention of the following persons and must be received by them within 30 days after the publication of this Notice of Invitation in the FEDERAL REGISTER: Karen Purvis, (CO-912) Solid Minerals Staff Division of Energy, Lands and Minerals Colorado State Office Bureau of Land Management, 2850 Youngfield Street, Lakewood, Colorado 80215 and Jeff Dubbert, Blue Mountain Energy, Inc., 3607 County Road #65, Rangely, Colorado 81648. Any party electing to participate in this program must share all costs on a pro rata basis with Blue Mountain Energy, Inc. and with any other party or parties who elect to participate. Publish: March 17, 24 and 31, 2011 in Rio Blanco Herald Times. REQUEST FOR BID RIO BLANCO COUNTY BRIDGE MAINTENANCE PROJECT NO. 2011-BR-M003. PROJECT NAME, LOCATION AND GENERAL SCOPE OF WORK – RIO BLANCO COUNTY BRIDGE MAINTENANCE PROJECT NO. 2011BR-M003. Work includes lead paint abatement and bridge painting. A detailed schedule of work is included in contract documents. CONTRACT DOCUMENTS – Contract Documents shall be available on-line at www.govbids.com/scripts/co1/public/home1.asp, or on the county’s website at www.co.rio-blanco.co.us on the Public Announcements page, or at the Rio Blanco County Road and Bridge Dept. in Meeker on March 17, 2011. VENDOR QUALIFICATIONS – Vendors must be listed on the most current CDOT Pre-qualified Contractor Listing. PROJECT SUPERINTENDENT AND QUESTIONS – Van Pilaud, County Engineer, (970) 878-9590, Fax (970) 878-3396. Mailing address: Rio Blanco County Road and Bridge Dept., 570 Second Street, Meeker, CO 81641. All vendors must examine the site and become familiar with all site conditions. Any questions regarding this project are to be directed in writing to Van Pilaud before Wednesday, March 30, 2011 at 4:00 P.M. at the above address or fax number. WORK SCHEDULE – It is intended that the project shall start approx. June 6 and be completed by August 27, 2011. MANDATORY PRE-BID MEETING – Vendors must attend the mandatory pre-bid meeting: Tuesday, March 29, 2011 at 10:00 A.M. at the Rio Blanco County Road & Bridge Dept., 570 Second Street, Meeker. BID SUBMITTALS – Vendor shall include all information required by the contract documents. Bids shall have Vendor’s name, address, “BRIDGE MAINT PROJECT NO. 2011-BR-M003” and bid opening date written on the sealed envelope. Each bid must be accompanied by a Certified Check or Cashier’s Check in the amount of not less than five percent (5%) of the total bid, made payable to Rio Blanco County, Colorado, or by a Bid Bond in like amount executed by a Surety Company. Mail or hand-deliver to the Rio Blanco County Board of County Commissioners, P.O. Box i, 200 Main Street, Meeker, CO 81641 before Thursday, April 7, 2011 at 4:00 P.M., OR, Hand-deliver to the Rio Blanco County Board of County Commissioners, 200 Main Street, Meeker, CO 81641 until 11:00 A.M. on the date of bid opening, Monday, April 11, 2011. No bids shall be received Friday through Sunday, April 8th through April 10th. BID OPENING – Bids shall be opened and read in public at 11:15 A.M. on Monday, April 11, 2011 at the Commissioners’ Meeting Room at 200 Main Street, Meeker, CO 81641. Bids submitted after 11:00 A.M. shall be returned unopened. Bids submitted and opened shall not be withdrawn for 30 days thereafter. 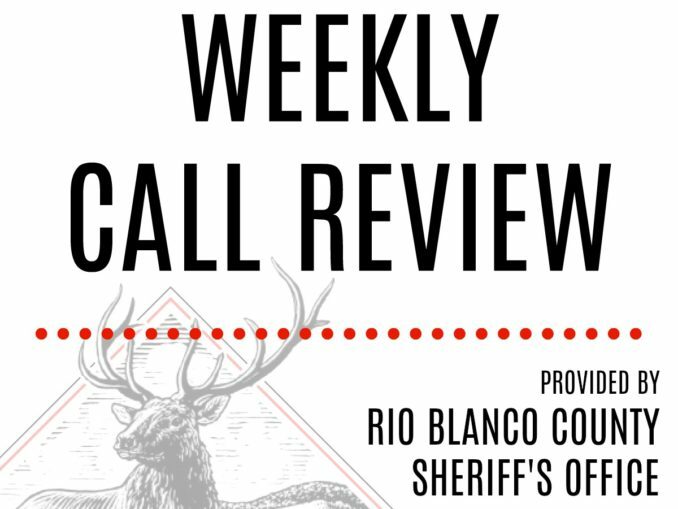 BID AWARD – The Rio Blanco County Board of County Commissioners reserve the right to reject any or all bids; to waive any informalities in bids; and to accept the bid that, in the opinion of the Board, is in the best interest of the County of Rio Blanco, State of Colorado. The County also reserves the right to negotiate changes in product specifications with successful vendor. Discrepancies between words and figures will be resolved in favor of words. Discrepancies between indicated sum of any column of figures and the correct sum thereof will be resolved in favor of the correct sum. Discrepancies between the unit price and the unit price extension will be resolved in favor of the unit price times the unit to obtain the proper unit price extension. If the contract is to be awarded, Owner will give the Successful Vendor a Notice of Award within thirty days after the day of the Bid opening. Dated: March 17, 2011, RIO BLANCO COUNTY, By: Kai M. Turner, Chairman. Publish: Rio Blanco Herald Times – March 17 and March 24, 2011. Rio Blanco County 2011 Crackfill Project REQUEST FOR BID. PROJECT NAME – 2011 Rio Blanco County Crackfill Project. 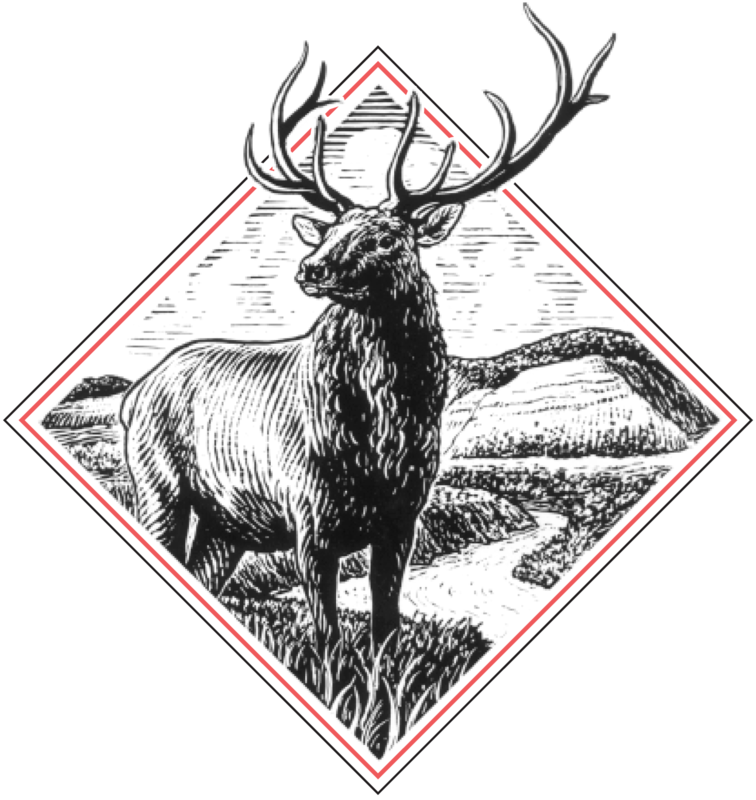 THE BOARD OF COUNTY COMMISSIONERS OF RIO BLANCO COUNTY is soliciting bids for furnishing and placement of Deery 974 Asphalt or Equivalent Crackfill Material on various county roads. BID DOCUMENTS – Bid Documents shall be available on-line at www.govbids.com/scripts/co1/public/home1.asp, or on the county’s website atwww.co.rio-blanco.co.us on the Public Announcements page, or at the Rio Blanco County Road and Bridge Dept. 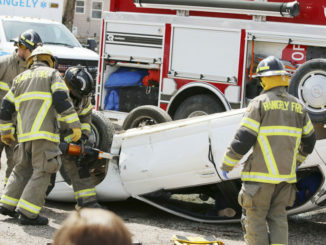 in Meeker on March 17, 2011. PROJECT SUPERINTENDENT AND QUESTIONS – Ron Leeper, Road and Bridge Coordinator, (970) 878-9590, Fax (970) 878-3396. Mailing address: Rio Blanco County Road and Bridge Dept., 570 Second Street, Meeker, CO 81641. All Vendors must examine the sites and become familiar with all site conditions. Any questions regarding this project are to be directed in writing to Ron Leeper before Monday, April 4, 2011 at 4:00 P.M. at the above address or fax number. WORK SCHEDULE – This project shall start May 2, 2011 and be completed by June 4, 2011, depending upon delays due to adverse conditions. PRE-BID MEETING – Vendors may attend a pre-bid meeting (not mandatory): Thursday, March 31, 2011 at 10:00 A.M. at the Rio Blanco County Road & Bridge Dept., 570 Second Street, Meeker. BID SUBMITTALS – Vendor shall include all information required by the contract documents. Bid shall be clearly marked with “Sealed Bid-2011 Crackfill Project” the name and address of the submitting company and the bid opening date written on the sealed envelope. Each bid must be accompanied by a Certified Check or Cashier’s Check in the amount of not less than five percent (5%) of the total bid, made payable to Rio Blanco County, Colorado, or by a Bid Bond in like amount executed by a Surety Company. Mail or hand-deliver to the Board of County Commissioners, Rio Blanco County 200 Main Street, P.O. Box i, Meeker, CO 81641, until 4:00 P.M. on Thursday, April 7, 2011. OR Hand-deliver on the date of bid opening to the Rio Blanco County Board of County Commissioners, 200 Main Street, Meeker, CO 81641, until 11:00 A.M. on Monday, April 11, 2011. No bids shall be received Friday, April 8 through Sunday, April 10. BID OPENING – Bids shall be opened and read in public at 11:15 A.M. on April 11, 2011 at the Commissioners’ Meeting Room, 200 Main Street, Meeker, CO 81641. Bids submitted after 11:00 A.M. will be returned not opened. Bids submitted and opened shall not be withdrawn for 30 days thereafter. BID AWARD – The Rio Blanco County Board of County Commissioners reserve the right to reject any and all bids, to waive any informalities and minor irregularities in bids, and to accept the bid deemed, in the opinion of the Board, to be in the best interest of Rio Blanco County, State of Colorado. The County also reserves the right to negotiate changes in product specifications with successful vendor. Discrepancies between words and figures will be resolved in favor of words. Discrepancies between indicated sum of any column of figures and the correct sum thereof will be resolved in favor of the correct sum. Discrepancies between the unit price and the unit price extension will be resolved in favor of the unit price times the unit to obtain the proper unit price extension. If the contract is to be awarded, Owner will give the Successful Vendor a Notice of Award within thirty days after the day of the Bid opening. RIO BLANCO COUNTY, COLORADO Dated: March 17, 2011 By: Kai M. Turner, Chairman Publication: Rio Blanco Herald Times: March 17 & 24, 2011. COMBINED NOTICE CRS 38-38-103 FORECLOSURE SALE NO. 10-38. To Whom It May Concern: This Notice is given with regard to the following described Deed of Trust: On December 15, 2010, the undersigned Public Trustee caused the Notice of Election and Demand relating to the Deed of Trust described below to be recorded in the County of Rio Blanco records. Original Grantor(s): Kathryn Willis; Original Beneficiary(ies): Mortgage Electronic Registration Systems, Inc., as nominee for Universal Lending Corporation; Current Holder of Evidence of Debt: GMAC Mortgage, LLC; Date of Deed of Trust: 9/24/2009; County of Recording: Rio Blanco; Recording Date of Deed of Trust: 10/1/2009; Recording Reception Number: 296958; Original Principal Amount: $108,974.00; Outstanding Principal Balance: $107,728.01. Pursuant to CRS 38-38-101(4)(i), you are hereby notified that the covenants of the deed of trust have been violated as follows: failure to pay principal and interest when due together with all other payments provided for in the evidence of debt secured by the deed of trust and other violations thereof. THE LIEN FORECLOSED MAY NOT BE A FIRST LIEN. THE PROPERTY DESCRIBED HEREIN IS ALL OF THE PROPERTY CURRENTLY ENCUMBERED BY THE LIEN OF THE DEED OF TRUST. LOT 7, 8, 9, BLOCK 5, HILDENBRANDT’S SUBDIVIDED LOTS A PART OF THE TOWN OF RANGLEY COUNTY OF RIO BLANCO, STATE OF COLORADO. Also known by street and number as: 316 West Rio Blanco Avenue, Rangely, CO 81648. NOTICE OF SALE – The current holder of the Evidence of Debt secured by the Deed of Trust, described herein, has filed Notice of Election and Demand for sale as provided by law and in said Deed of Trust. THEREFORE, Notice Is Hereby Given that I will at public auction, at 10:00 A.M. on Wednesday, 04/13/2011, at Office of the Public Trustee, Rio Blanco County Courthouse, 555 Main Street, Meeker CO 81641, sell to the highest and best bidder for cash, the said real property and all interest of the said Grantor(s), Grantor(s)’ heirs and assigns therein, for the purpose of paying the indebtedness provided in said Evidence of Debt secured by the Deed of Trust, plus attorneys’ fees, the expenses of sale and other items allowed by law, and will issue to the purchaser a Certificate of Purchase, all as provided by law. First Publication: 2/24/2011 Last Publication: 3/24/2011. Name of Publication: Rio Blanco Herald Times. NOTICE OF RIGHTS – YOU MAY HAVE AN INTEREST IN THE REAL PROPERTY BEING FORECLOSED, OR HAVE CERTAIN RIGHTS OR SUFFER CERTAIN LIABILITIES PURSUANT TO COLORADO STATUTES AS A RESULT OF SAID FORECLOSURE. YOU MAY HAVE THE RIGHT TO REDEEM SAID REAL PROPERTY OR YOU MAY HAVE THE RIGHT TO CURE A DEFAULT UNDER THE DEED OF TRUST BEING FORECLOSED. A COPY OF SAID STATUTES, AS SUCH STATUTES ARE PRESENTLY CONSTITUTED, WHICH MAY AFFECT YOUR RIGHTS, IS ATTACHED TO ALL MAILED COPIES OF THIS NOTICE. HOWEVER, YOUR RIGHTS MAY BE DETERMINED BY PREVIOUS STATUTES. A NOTICE OF INTENT TO CURE FILED PURSUANT TO SECTION 38-38-104 SHALL BE FILED WITH THE PUBLIC TRUSTEE AT LEAST FIFTEEN (15) CALENDAR DAYS PRIOR TO THE FIRST SCHEDULED SALE DATE OR ANY DATE TO WHICH THE SALE IS CONTINUED; A NOTICE OF INTENT TO REDEEM FILED PURSUANT TO SECTION 38-38-302 SHALL BE FILED WITH THE PUBLIC TRUSTEE WITHIN EIGHT (8) BUSINESS DAYS FOLLOWING THE SALE; DATE: 12/16/2010 Karen Arnold Public Trustee of Rio Blanco County, State of Colorado /s/Karen Arnold By: Karen Arnold, Public Trustee ( S E A L) PUBLIC TRUSTEE RIO BLANCO CO COLO The name, address, telephone number and bar registration number of the attorney(s) representing the legal holder of the indebtedness is: Caren Jacobs Castle #11790, Barbara A. Bader #10394, Christa Kilk #29855, Deanna L. Westfall #23449, Keith A. Gantenbein, Jr. #39213, Deanne R. Stodden #33214, Jennifer C. Rogers #34682, Katharine E. Fisher #39230, Kimberly L. Martinez #40351, Elizabeth S. Marcus #16092, Britney Beall-Eder #34935, Christopher T. Groen #39976, Peter C. DeCamillis #38929 Castle Stawiarski, LLC 999 18TH ST., #2201, DENVER, CO 80202 (303) 865-1400. Attorney file #: 10-25466. The attorney above is acting as a debt collector and is attempting to collect a debt. Any information provided may be used for that purpose. (c)Colorado Public Trustees’ Association Revised 12/2009. COMBINED NOTICE CRS 38-38-103 FORECLOSURE SALE NO. 10-39. To Whom It May Concern: This Notice is given with regard to the following described Deed of Trust: On December 22, 2010, the undersigned Public Trustee caused the Notice of Election and Demand relating to the Deed of Trust described below to be recorded in the County of Rio Blanco records. Original Grantor(s): Robert W. Winn and Melissa M. Winn; Original Beneficiary(ies): Mortgage Electronic Registration Systems, Inc. acting solely as nominee for INTERMOUNTAIN INDUSTRIES, INC. D/B/A MAJOR MORTGAGE USA, A COLORADO CORPORATION; Current Holder of Evidence of Debt: Wells Fargo Bank, NA; Date of Deed of Trust: 8/21/2009; County of Recording: Rio Blanco Recording Date of Deed of Trust: 8/21/2009; Recording Reception Number: 296665; Original Principal Amount: $275,793.00; Outstanding Principal Balance: $272,781.62. Pursuant to CRS 38-38-101(4)(i), you are hereby notified that the covenants of the deed of trust have been violated as follows: failure to pay principal and interest when due together with all other payments provided for in the evidence of debt secured by the deed of trust and other violations thereof. THE LIEN FORECLOSED MAY NOT BE A FIRST LIEN. THE PROPERTY DESCRIBED HEREIN IS ALL OF THE PROPERTY CURRENTLY ENCUMBERED BY THE LIEN OF THE DEED OF TRUST. LOT 1 IN RUTH KING ESTATES, A MINOR SUBDIVISION, ACCORDING TO THE PLAT THEREOF FILED JULY 27, 1979 AS RECEPTION NO. 189550, TOWN OF RANGELY, COLORADO, COUNTY OF RIO BLANCO, STATE OF COLORADO. Also known by street and number as: 606 S Stanolind Avenue, Rangely, CO 81648. NOTICE OF SALE – The current holder of the Evidence of Debt secured by the Deed of Trust, described herein, has filed Notice of Election and Demand for sale as provided by law and in said Deed of Trust. THEREFORE, Notice Is Hereby Given that I will at public auction, at 10:00 A.M. on Wednesday, 04/20/2011, at Office of the Public Trustee, Rio Blanco County Courthouse, 555 Main Street, Meeker CO 81641, sell to the highest and best bidder for cash, the said real property and all interest of the said Grantor(s), Grantor(s)’ heirs and assigns therein, for the purpose of paying the indebtedness provided in said Evidence of Debt secured by the Deed of Trust, plus attorneys’ fees, the expenses of sale and other items allowed by law, and will issue to the purchaser a Certificate of Purchase, all as provided by law. First Publication: 3/3/2011. Last Publication: 3/31/2011. Name of Publication: Rio Blanco Herald Times. NOTICE OF RIGHTS – YOU MAY HAVE AN INTEREST IN THE REAL PROPERTY BEING FORECLOSED, OR HAVE CERTAIN RIGHTS OR SUFFER CERTAIN LIABILITIES PURSUANT TO COLORADO STATUTES AS A RESULT OF SAID FORECLOSURE. YOU MAY HAVE THE RIGHT TO REDEEM SAID REAL PROPERTY OR YOU MAY HAVE THE RIGHT TO CURE A DEFAULT UNDER THE DEED OF TRUST BEING FORECLOSED. A COPY OF SAID STATUTES, AS SUCH STATUTES ARE PRESENTLY CONSTITUTED, WHICH MAY AFFECT YOUR RIGHTS, IS ATTACHED TO ALL MAILED COPIES OF THIS NOTICE. HOWEVER, YOUR RIGHTS MAY BE DETERMINED BY PREVIOUS STATUTES. A NOTICE OF INTENT TO CURE FILED PURSUANT TO SECTION 38-38-104 SHALL BE FILED WITH THE PUBLIC TRUSTEE AT LEAST FIFTEEN (15) CALENDAR DAYS PRIOR TO THE FIRST SCHEDULED SALE DATE OR ANY DATE TO WHICH THE SALE IS CONTINUED; A NOTICE OF INTENT TO REDEEM FILED PURSUANT TO SECTION 38-38-302 SHALL BE FILED WITH THE PUBLIC TRUSTEE WITHIN EIGHT (8) BUSINESS DAYS FOLLOWING THE SALE; DATE: 12/27/2010 Karen Arnold Public Trustee of Rio Blanco County, State ofColorado /s/Karen Arnold By: Karen Arnold, Public Trustee ( S E A L) PUBLIC TRUSTEE RIO BLANCO CO COLO The name, address, telephone number and bar registration number of the attorney(s) representing the legal holder of the indebtedness is: Robert J. Aronowitz, Esq. #5673, Monica Kadrmas #34904, Randall M. Chin, Esq. #31149, Stacey L. Aronowitz, Esq. #36290, Andrea Rickles-Jordan #39005, Susan J. Hendrick #33196, Joel T. Mecklenberg, Esq. #36291, Joan Olson, Esq. #28078, Lisa Cancanon Esq. #42043 Aronowitz & Mecklenburg, L.L.P. 1199 Bannock Street, Denver, CO 80204 (303) 813-1177. Attorney file #: 9105.00843. The attorney above is acting as a debt collector and is attempting to collect a debt. Any information provided may be used for that purpose. (c)Colorado Public Trustees’ Association Revised 12/2009. COMBINED NOTICE CRS 38-38-103 FORECLOSURE SALE NO. 10-40. To Whom It May Concern: This Notice is given with regard to the following described Deed of Trust: On December 27, 2010, the undersigned Public Trustee caused the Notice of Election and Demand relating to the Deed of Trust described below to be recorded in the County of Rio Blanco records. Original Grantor(s): Michael H Sanford and Ashley N Steele; Original Beneficiary(ies): Mortgage Electronic Registration Systems, Inc. acting solely as nominee for Fidelity Mortgage Company; Current Holder of Evidence of Debt: Wells Fargo Bank, NA. Date of Deed of Trust: 6/25/2008. County of Recording: Rio Blanco Recording Date of Deed of Trust: 6/26/2008. Recording Reception Number: 292753. Original Principal Amount: $124,000.00. Outstanding Principal Balance: $130,357.99. Pursuant to Loan Modification Agreement dated 5/5/10 Pursuant to CRS 38-38-101(4)(i), you are hereby notified that the covenants of the deed of trust have been violated as follows: failure to pay principal and interest when due together with all other payments provided for in the evidence of debt secured by the deed of trust and other violations thereof. THE LIEN FORECLOSED MAY NOT BE A FIRST LIEN. THE PROPERTY DESCRIBED HEREIN IS ALL OF THE PROPERTY CURRENTLY ENCUMBERED BY THE LIEN OF THE DEED OF TRUST. North 31 feet of Lot 7 and the South 19 feet of Lot 6 Block G White Subdivision according to the Plat thereof filed February 23, 1946 as Reception No. 69377 Town of Rangely, Colorado. Also known by street and number as: 136 South Grand Avenue, Rangely, CO 81648. NOTICE OF SALE – The current holder of the Evidence of Debt secured by the Deed of Trust, described herein, has filed Notice of Election and Demand for sale as provided by law and in said Deed of Trust. THEREFORE, Notice Is Hereby Given that I will at public auction, at 10:00 A.M. on Wednesday, 04/27/2011, at Office of the Public Trustee, Rio Blanco County Courthouse, 555 Main Street, Meeker CO 81641, sell to the highest and best bidder for cash, the said real property and all interest of the said Grantor(s), Grantor(s)’ heirs and assigns therein, for the purpose of paying the indebtedness provided in said Evidence of Debt secured by the Deed of Trust, plus attorneys’ fees, the expenses of sale and other items allowed by law, and will issue to the purchaser a Certificate of Purchase, all as provided by law. First Publication: 3/10/2011. Last Publication: 4/7/2011. Name of Publication: Rio Blanco Herald Times. NOTICE OF RIGHTS – YOU MAY HAVE AN INTEREST IN THE REAL PROPERTY BEING FORECLOSED, OR HAVE CERTAIN RIGHTS OR SUFFER CERTAIN LIABILITIES PURSUANT TO COLORADO STATUTES AS A RESULT OF SAID FORECLOSURE. YOU MAY HAVE THE RIGHT TO REDEEM SAID REAL PROPERTY OR YOU MAY HAVE THE RIGHT TO CURE A DEFAULT UNDER THE DEED OF TRUST BEING FORECLOSED. A COPY OF SAID STATUTES, AS SUCH STATUTES ARE PRESENTLY CONSTITUTED, WHICH MAY AFFECT YOUR RIGHTS, IS ATTACHED TO ALL MAILED COPIES OF THIS NOTICE. HOWEVER, YOUR RIGHTS MAY BE DETERMINED BY PREVIOUS STATUTES. A NOTICE OF INTENT TO CURE FILED PURSUANT TO SECTION 38-38-104 SHALL BE FILED WITH THE PUBLIC TRUSTEE AT LEAST FIFTEEN (15) CALENDAR DAYS PRIOR TO THE FIRST SCHEDULED SALE DATE OR ANY DATE TO WHICH THE SALE IS CONTINUED; A NOTICE OF INTENT TO REDEEM FILED PURSUANT TO SECTION 38-38-302 SHALL BE FILED WITH THE PUBLIC TRUSTEE WITHIN EIGHT (8) BUSINESS DAYS FOLLOWING THE SALE; DATE: 12/28/2010 Karen Arnold Public Trustee of Rio Blanco County, State of Colorado /s/Karen Arnold By: Karen Arnold, Public Trustee ( S E A L) PUBLIC TRUSTEE RIO BLANCO CO COLO The name, address, telephone number and bar registration number of the attorney(s) representing the legal holder of the indebtedness is: Robert J. Aronowitz, Esq. #5673, Monica Kadrmas #34904, Randall M. Chin, Esq. #31149, Stacey L. Aronowitz, Esq. #36290, Andrea Rickles-Jordan #39005, Susan J. Hendrick #33196, Joel T. Mecklenberg, Esq. #36291, Joan Olson, Esq. #28078, Lisa Cancanon Esq. #42043 Aronowitz & Mecklenburg, L.L.P. 1199 Bannock Street, Denver, CO 80204 (303) 813-1177 Attorney file #: 9105.00834 The attorney above is acting as a debt collector and is attempting to collect a debt. Any information provided may be used for that purpose. (c)Colorado Public Trustees’ Association Revised 12/2009. COMBINED NOTICE CRS 38-38-103 FORECLOSURE SALE NO. 10-41. To Whom It May Concern: This Notice is given with regard to the following described Deed of Trust: On December 30, 2010, the undersigned Public Trustee caused the Notice of Election and Demand relating to the Deed of Trust described below to be recorded in the County of Rio Blanco records. Original Grantor(s): JAMES L. OWENS AND J. OWENS CONSTRUCTION AND INTERIOR FINISH, INC., JOINT AND SEVERALLY; Original Beneficiary(ies): PPF NEWCO, LLC. ; Current Holder of Evidence of Debt: PPF NEWCO, LLC. ; Date of Deed of Trust: 6/7/2010; County of Recording: Rio Blanco Recording Date of Deed of Trust: 6/7/2010; Recording Reception Number: 298725; Original Principal Amount: $195,000.00; Outstanding Principal Balance: $195,000.00; Pursuant to CRS 38-38-101(4)(i), you are hereby notified that the covenants of the deed of trust have been violated as follows: failure to pay principal and interest when due together with all other payments provided for in the evidence of debt secured by the deed of trust and other violations thereof. THE LIEN FORECLOSED MAY NOT BE A FIRST LIEN. THE PROPERTY DESCRIBED HEREIN IS ALL OF THE PROPERTY CURRENTLY ENCUMBERED BY THE LIEN OF THE DEED OF TRUST. Covering the land in the State of Colorado, County of Rio Blanco described as: Township 1 North, Range 94 West of the 6th P.M. A parcel of land described as beginning at the Corner No. 6 of Tract No. 109, Section 34, Township 1 North, Range 94 West of the 6th P.M., Running thence North 89 48″ East along tract line, 1335.2 feet to Corner No. 5 Tract No. 109; Thence South 0 05″ East along tract line, 1320.00 feet to Corner No. 4; Thence South 89 47″ West along tract line a distance of 1303.0 feet; Thence North 0 05″ West a distance of 50.0 feet; Thence South 89 47″ West a distance of 32.0 feet; Thence North 0 05″ West a distance of 1270.5 feet to said Corner No. 6 The place of beginning, all being in Tract No. 109, Town ship 1 North, Range 94 West of the 6th P.M., as shown by Plat of the Resurvey approved October 31, 908. TOGETHER with all water and water rights, ditches and ditch rights, including 5 shares in the Miller Creek Ditch, the water reserved from the Miller Creek Ditch through the ditch line east of the land described herein for the purpose of irrigating 3 or 4 acres lying under said ditch and between the ditch and the creek as reserved in Book 266 at Page 379. TOGHETHER with the Huff reservation of the right to run a sufficient amount of their Miller Creek Ditch water through the ditch lying East of the land conveyed to Dorrels for the purpose of irrigating three or four acres lying under said ditch and between the ditch and creek in that Warranty Deed from Frank A Huff and Evalon J Huff to Clinton Dorrell and Marje Love Dorrell recorded August 12, 1965 in Book 266 at Page 379, Reception No. 130430. SUBJECT to reservation contained in patent from the United States, prior mineral reservation, easements and rights-of way in use or of record, including ditch easements, and utility easements. Also known by street and number as: 1533 County Road 13, Meeker, CO 81641. NOTICE OF SALE – The current holder of the Evidence of Debt secured by the Deed of Trust, described herein, has filed Notice of Election and Demand for sale as provided by law and in said Deed of Trust. THEREFORE, Notice Is Hereby Given that I will at public auction, at 10:00 A.M. on Wednesday, 05/04/2011, at Office of the Public Trustee, Rio Blanco County Courthouse, 555 Main Street, Meeker CO 81641, sell to the highest and best bidder for cash, the said real property and all interest of the said Grantor(s), Grantor(s)’ heirs and assigns therein, for the purpose of paying the indebtedness provided in said Evidence of Debt secured by the Deed of Trust, plus attorneys’ fees, the expenses of sale and other items allowed by law, and will issue to the purchaser a Certificate of Purchase, all as provided by law. First Publication: 3/17/2011, Last Publication: 4/14/2011, Name of Publication: Rio Blanco Herald Times. NOTICE OF RIGHTS – YOU MAY HAVE AN INTEREST IN THE REAL PROPERTY BEING FORECLOSED, OR HAVE CERTAIN RIGHTS OR SUFFER CERTAIN LIABILITIES PURSUANT TO COLORADO STATUTES AS A RESULT OF SAID FORECLOSURE. YOU MAY HAVE THE RIGHT TO REDEEM SAID REAL PROPERTY OR YOU MAY HAVE THE RIGHT TO CURE A DEFAULT UNDER THE DEED OF TRUST BEING FORECLOSED. A COPY OF SAID STATUTES, AS SUCH STATUTES ARE PRESENTLY CONSTITUTED, WHICH MAY AFFECT YOUR RIGHTS, IS ATTACHED TO ALL MAILED COPIES OF THIS NOTICE. HOWEVER, YOUR RIGHTS MAY BE DETERMINED BY PREVIOUS STATUTES. A NOTICE OF INTENT TO CURE FILED PURSUANT TO SECTION 38-38-104 SHALL BE FILED WITH THE PUBLIC TRUSTEE AT LEAST FIFTEEN (15) CALENDAR DAYS PRIOR TO THE FIRST SCHEDULED SALE DATE OR ANY DATE TO WHICH THE SALE IS CONTINUED; A NOTICE OF INTENT TO REDEEM FILED PURSUANT TO SECTION 38-38-302 SHALL BE FILED WITH THE PUBLIC TRUSTEE WITHIN EIGHT (8) BUSINESS DAYS FOLLOWING THE SALE; DATE: 1/3/2011. Karen Arnold Public Trustee of Rio Blanco County, State of Colorado /s/Karen Arnold By: Karen Arnold, Public Trustee ( S E A L) PUBLIC TRUSTEE RIO BLANCO CO COLO. The name, address, telephone number and bar registration number of the attorney(s) representing the legal holder of the indebtedness is: Lawrence F. Peek Attorney at Law, 2910 Black Canyon Road, Colorado Strings, CO 80904, (719) 337-0308, Attorney file #: Owens. The attorney above is acting as a debt collector and is attempting to collect a debt. Any information provided may be used for that purpose. (c)Colorado Public Trustees’ Association Revised 12/2009. DOW packs March with Hunter Ed. Over the past several months, hydraulic fracturing has become a hot topic and subjected to much misrepresentation. MEEKER — A memorial/remembrance service for Patty (Raley) Long will be held Saturday June 27, 2009, from 11 a.m. to 1 p.m. at Kilowatt Corner 233 Sixth St. in Meeker.